2012: Who's Winning the Clean Energy Race? The latest edition of this report was developed for public informational and educational purposes. It is an update of Pew's reports tracking 2009, 2010, and 2011 clean energy investment in the developed and developing countries that make up the Group of 20. In less than a decade, clean energy transitioned from novelty products to the mainstream of world energy markets. The sector emerged not so much in a linear fashion as an episodic one -- in fits and starts associated with the worldwide economic downturn, continent wide debt crises, national policy uncertainty, and intense industry competition. Through it all, however, the clean energy sector moved inexorably forward, with overall investment in 2012 five times greater than it was in 2004. 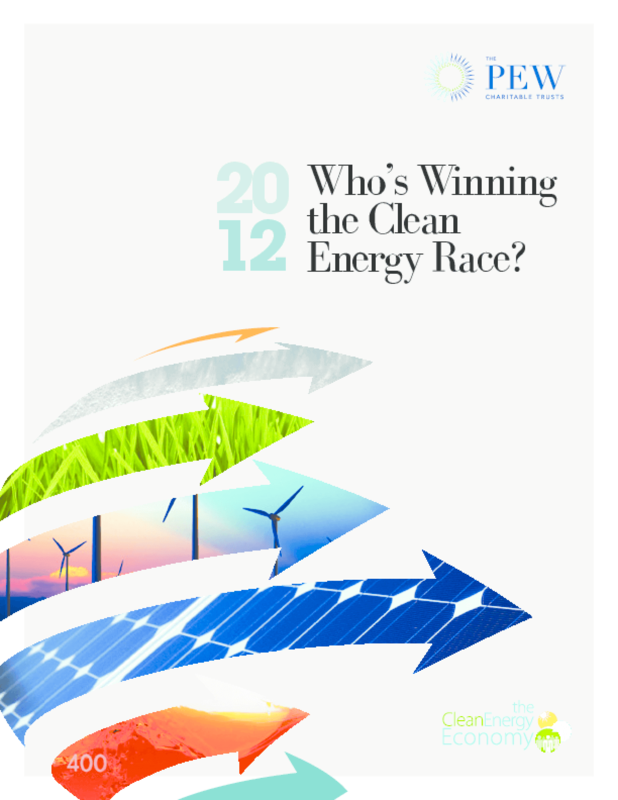 Title: 2012: Who's Winning the Clean Energy Race?